Human resources professionals are responsible for managing a company’s most important assets: its people. HR managers are deeply involved in the process of hiring great talent, firing the duds, and making sure the stars keep moving up. But that’s not all an HR leader does. 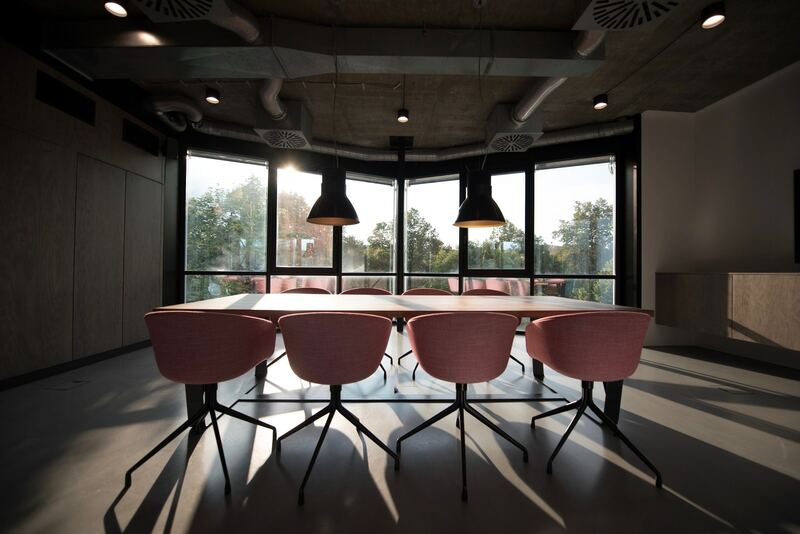 They’re often the people that companies trust to make sure their people are treated fairly, in accordance with all the laws surrounding employment. In fact, HR leaders are often responsible for making sure companies “cover their butts” so-to-speak from a legal, ethical, and business perspective. But human resource personnel aren’t just there to protect organizations: they can play an important role in developing employees and making them feel safe and valued in the workplace. You need to be business savvy, and people savvy. You don’t have to move across the country to learn this potent blend of people skills and business acumen. There are countless online HR degree programs that can land you the credentials and expertise you need to start your career. To help you sort through them all, we’ve used data from The National Center for Education Statistics and ratings from school-ranking entities like TheBestSchools.org, CollegeChoice.net, and CollegeRank.net—so this list of the top 10 online human resource management programs is the best of the best. Colorado State University’s Global Campus (#3 on the list) is pretty affordable too: it’s about $8,000 per year, and it’s regionally accredited by the Higher Learning Commission, which gives you lots of options if you want to transfer or pursue a higher degree. And finally, if you happen to live in Kansas, Fort Hays State University’s in-state tuition is about $5,000 per year as well. It’s our #1 pick for best online bachelor in HR management programs, so we’ll tell you all about it below. Some of the graduation rates on this list may look scary. For example, LeTourneau University (#4) has the highest graduation rate on this list—but it’s only 53%. It’s easy to see this and wonder, “Wait—is it even worth it if my odds of getting a degree are slightly better than a coin toss?” But there’s more to consider here. Graduation rate isn’t necessarily an indicator of how challenging a program is. A low graduation rate could also be an indicator of the types of students a school draws. Students with families, jobs, and other commitments are less likely to finish their degree in the timeline required to “count” towards the graduation rate. Also, the rate only takes into account full-time students who are seeking a degree for the first time (in LeTourneau’s case, this meant 35% of total students, which means most students are either part-time or not pursuing a degree for the first time). If you’re going to spend the time and money it takes to earn a degree, you probably want to make sure it’s going to pay off. Any of these schools will be able to tell you about what their successful graduates have accomplished, but LeTourneau University (#4 on the list) stands above the rest when it comes to job placement rate. 94% of their graduates get jobs in the field. Concordia University—Saint Paul was a close second with a 92% placement rate, but that was based on data from 2014, so it’s not completely accurate today. Now, onto the top ten! Human resource management doesn’t operate in a bubble. Everything HR does to advocate for employees and protect organizations has to bear in mind how decisions affect (and potentially disrupt) other aspects of the organization. That’s why FHSU offers a bachelor’s in business management degree with a concentration in human resource management. Once you work your way through the 55 general education credits required to complete your B.B.A., about half of your remaining credits will be in “business core” classes, giving you a foundation in marketing, communications, accounting, and general business operations. Note: With a graduation rate of 37% and a transfer-out rate of 33% (which is on par with the national average), you’re almost as likely to transfer away from this school as you are to graduate from it. Organizations don’t want to lose good employees, and good employees want to be treated right. “It’s more important than ever for employers to attract, motivate, and retain the most qualified employees. Organizations of all kinds—corporations, nonprofit organizations, government agencies, etc.—depend on their human resources staff to not only match employees with the jobs for which they are best suited, but to enhance their productivity and limit turnover. Even if that doesn’t perfectly describe your motivations for being in HRM, this could still be a great fit for you. Let’s look at what their bachelor of science in HRM actually has to offer (because despite the weird mind-reading attempt, it’s pretty good). CSU is an affiliate of the Society for Human Resource Management, and their curriculum aligns with SHRM’s HR curriculum guidebook and templates. Sometimes in HR you may feel caught in the middle between people and the organizations they work for. CSU will prepare you to navigate this middle ground with training in the legal and ethical implications of HR. You’ll also learn how to analyze business policies and strategies (including insurance, salary, labor, health, and safety) in relation to best practices and industry competitors. Fun fact: While most schools increase tuition costs over time, CSU’s Global Campus locks your tuition rate for the duration of your studies, so you pay the same price every year. LeTourneau University’s bachelor of science in business administration program offers a concentration in human resources management. And their 94% job placement rate makes them a super-appealing option. LETU is a Christian college, so you can expect their HRM program to approach the subject from a religious perspective. At the moment, four of the courses in this program are theology- or Bible-related. It’s unclear whether they mean these SHRM exams or not. Here are the courses you’ll take in the program. “Students who study online at the University of Arkansas become part of an enduring community of passionate learners and teachers. Here, quality is important. The same academic departments that offer degree programs on the Fayetteville campus develop online offerings. Note: You must complete a capstone course in your last semester in order to graduate. Apply managerial decision making with best practices in business. Interpret business concepts, principles, and financial strategies. Examine the effects of globalization on your work environment. If you want to use HRM to move up the ranks of an organization, this foundational understanding of business operations will come in handy. Here’s the latest consumer information on the program. UMUC works closely with the government and SHRM to ensure you develop the skills employers need you to have. UMUC also accepts up to 90 transfer credits—that’s 75% of the degree! Note: The graduation rate is 10%. The transfer-out rate is 23%. If you start your degree here, you’re more than twice as likely to finish it somewhere else as you are to graduate here. 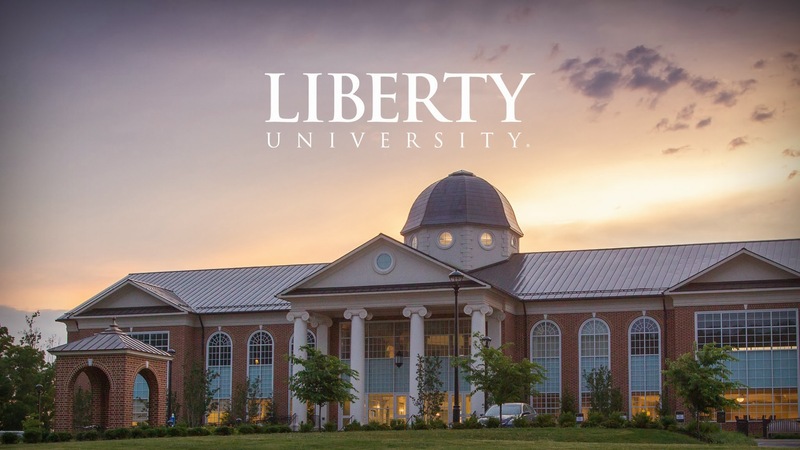 Liberty University is the world’s largest Christian university. Similar to LeTourneau, their online HRM program incorporates a biblical worldview into students’ education. While that might seem surprising, the world of human resource management is often intertwined with ethical and moral issues. The biblical aspects of this program are intended to help students recognize and resolve these ethical issues with a strong moral framework. Fun fact: Liberty University accepts “transferable life experience.” If you’ve already been working in the field of human resources in some capacity, you can submit documentation to potentially receive transfer credits. Whereas other HRM programs emphasize the people side of things, or try to balance that with meeting the needs of an organization, Concordia appears to emphasize the HR person’s alignment with the organization. Achieving results through people is the essence of management. Businesses and nonprofits alike want leaders who can motivate, equip, and direct people to accomplish far more than they could on their own. It’s an invaluable skillset for those who want to be HR managers someday, and Concordia seeks to instill it in all their HR students. There are only ten courses specifically in the HR program (see required courses section), and they all seem to emphasize helping organizations win. Concordia is a more than 100-year old Christian university, and claims to be a people-focused, Christ-centered community. However, that doesn’t mean all your classmates will be Christian pastors-in-training. Concordia boasts a student body with a diverse range of faiths, backgrounds, and cultural heritages. Capella University has a unique online learning format: there are two paths to your degree, and you can take a quiz to learn which path is best for your schedule. The “guided path” gives you more direction and lets you take 1-3 classes every 10 weeks. You’ll have weekly assignments and classroom discussions, and the price you pay is based on the number of credits you take. The “flexpath” lets you take unlimited courses over a 12 week period—you just have to complete the courses you sign up for before you can take on more. You can have a maximum of two simultaneous courses. This path skips the deadlines and classroom discussions: you completely set the pace. This path costs $2,300 per quarter. You can also choose a “combined degree option” that simultaneously earns credits towards your bachelor’s and master’s degrees. “People are the center of every great company; that’s why human resource managers are so invaluable. With our online Bachelor’s in Human Resources Management program, you’ll gain the skills and knowledge to become a strategic cornerstone in a business or organization, applying your knowledge in an effective and integrated manner. Fun fact: Students at Capella University get complete access to the digital edition of the Wall Street Journal to keep up with relevant business news. According to the National Student Clearinghouse Research Center, more than one third of all college students transfer schools before graduating. In order to transfer your credits from one school to another, the two schools usually have to be accredited by the same organizations. 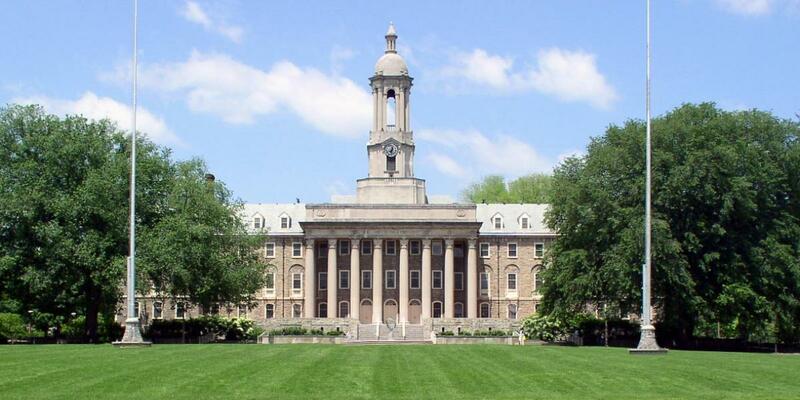 Thankfully, five of the schools on this list are accredited by the Higher Learning Commission, so if you choose one of them, you’ll have a lot less trouble transferring to another great school.